When shopping for a gun belt, one might be disposed to wonder if there is any advantage to purchasing a two-ply gun belt over a single ply. There really is, since a double-layer belt is going to be stronger, by nature, than one made of a single layer of leather. More can definitely be better in some instances. Any everyday carry system should include a quality gun belt, whether it's a leather gun belt or nylon gun belt. The reason is to provide more retention than a typical belt that one might find at, say, a department store. Typical belts are fine for their normal purpose, which is just holding up one's trousers, with the added weight of perhaps a wallet and cell phone. When you introduce a pistol into the equation, you add more weight. However, you also add it over a smaller surface area. Think of it this way - a pair of pants sits on or around the waist and/or hips. It's sort of like the ventilation hose on the back of a drier; it's just that the "sleeve" in this instance is vertical. When you hang a gun around there, it puts a much more direct pull on one area - where the gun sits. That can cause the wearer's trousers and belt to sag, often called "gun sag." A two-ply belt is one of the best ways to avoid gun sag, because two-ply belts will hold stronger and for longer than a single ply belt. Ever have to get rid of a belt because it stopped holding over time? Notice that your pants started to sag more over time, and eventually just said enough and binned it? That's part of what a two-ply leather belt guards against. The job a belt does is providing vertical hold. You put one on to keep a pair of pants or some other thing in one place; a quality belt doesn't allow travel, since the force of the hold exceeds that of the force of gravity on the pants/whatever else the belt is holding up. However, like any material used under strain for extended periods, eventually the material can weaken. The ability for vertical hold dissipates, and you find yourself adjusting your pants despite wearing a belt. A single-ply belt is just one strip of leather. Granted, a number of gun belt companies make belts of thicker leather, but they're still just one piece. The closer that single piece of leather is to the maximum amount of weight it can hold up, the quicker it will begin to lose strength and start sagging. A two-ply leather gun belt uses two pieces of leather, meaning there's that much more material under load. Ergo, provided sufficiently stout material is used to build it, the result is a belt that can handle the job for longer. The point in buying a stouter belt than you might otherwise buy is that it will last. The point in buying a stout, two-ply gun belt is the same. It will hold better, for longer, than a regular belt. Many gun belts are basically just thicker leather belts, marketed to people who carry guns. It's almost guaranteed that it will start to sag at some point. 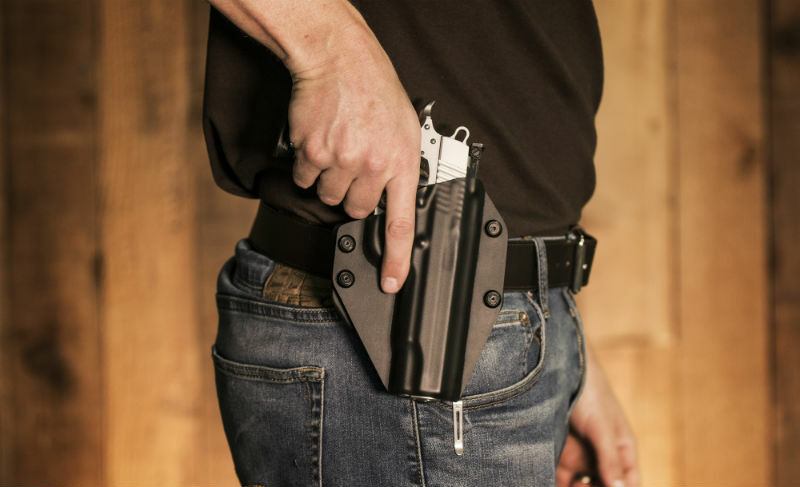 Granted, there's a difference between a concealed carry or open carry belt and a duty belt - which isn't worn in the belt loops - but just making a regular belt a little stiffer isn't going to get the job done. 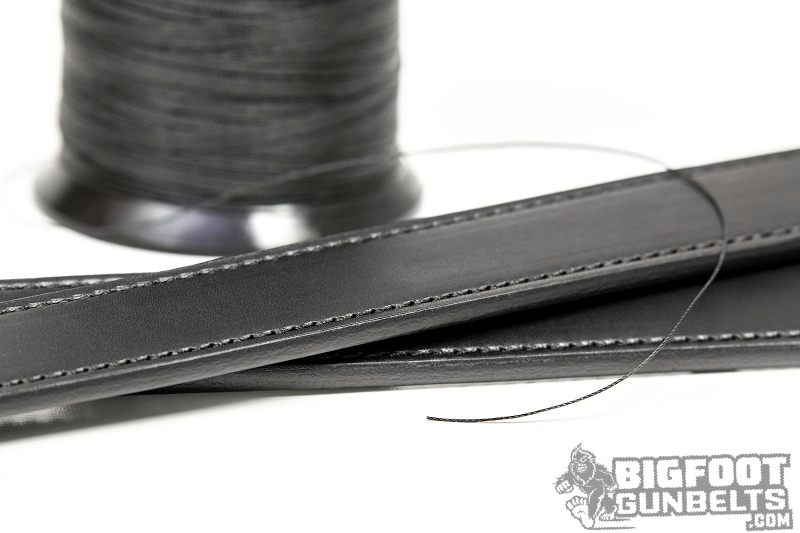 A good gun belt has two layers of leather, at least, if not the addition of a stiffener in the core of the belt. 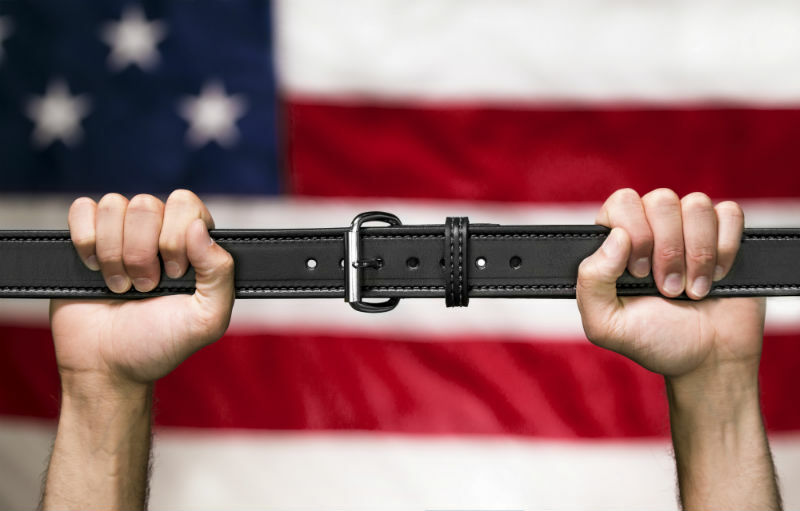 Thus, the belt can hold a lot more and won't weaken, or at least won't do so as quickly as a single-ply belt will. A two-ply gun belt, then, is an investment in secure carrying, and one that will last longer. Buy the right belt and it will last the rest of your life.